Irish drivers will collectively pay €300 million in extra premium costs this year, according to the AA. 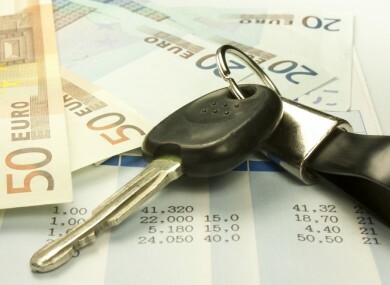 MORE THAN ONE third of Irish drivers have seen their insurance rise by up to 50% this year. That’s according to an AA Motor Insurance survey of over 5,000 motorists. It found that the increase is leading people to drive with reduced levels of insurance in an attempt to manage costs. Some 34% of motorists surveyed saw their insurance premiums rise by 20%-50% when compared to 2014, while 30% are spending an extra 20%. One in four policyholders saw no change in the cost of their premiums and just 5% witnessed a cost reduction. AA Chief Executive Officer Brendan Nevin said, “The problem is that motor insurance is a legal obligation, which essentially leaves motorists with no choice but to stump up the costs. Until there are serious reforms made by the required bodies, motor insurance prices will continue to rise. The AA say that fraudulent activity, high legal and claims costs, poorly resourced regulation, low levels of enforcement as well as a lack of industry transparency is costing motorists. Over one in four drivers say they were forced to purchase lesser cover and risk facing heavier financial consequences from a potential accident. Email “Drivers saw insurance rise by up to 50% this year and the increase looks set to continue”. Feedback on “Drivers saw insurance rise by up to 50% this year and the increase looks set to continue”.